Imphal, Feb 7: State health Department is turning blind eye to the mushrooming illegal health clinic which are running at many part of the state particularly those running at Rup Mahal Tank area here in the heart of the city. 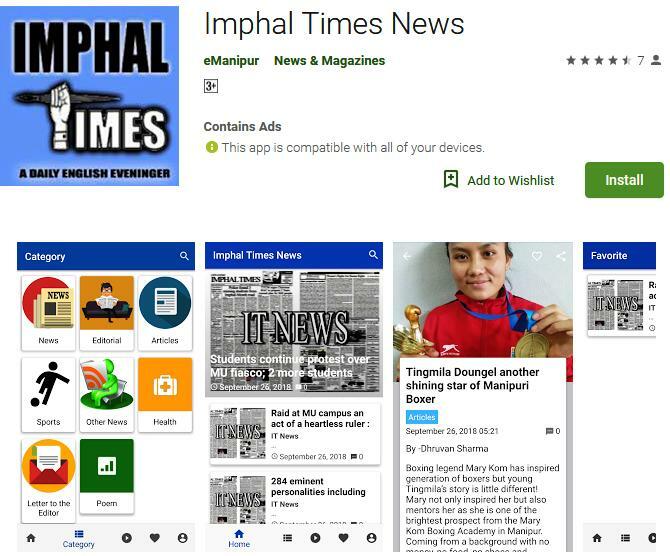 After getting specific information, a special team of Imphal Times went and check about the existence of such clinic in and around the periphery of Khwairambandh Keithel and at Rup-Mahal Tank. This reporter when entered at Rup Mahal tank found some drug whole sellers agents. On the first floor of the druggist center found some room designed in such a way that minor OT could be provided to patient in need. There were no signboard, name plates or any license document provided by health department authority however some para medics and nurses were found working. The investigation was carried out by Imphal Times after getting a specific report about a driver of a MLA now Minister in the present government delivered a baby from his illicit wife who latter was married after settling the matter. Even after the matter did not spark at social tension, the angry family member of the girl thronged to the unauthorised clinic which delivered the baby at Rup Mahal Tank. However timely intervention by a team of Imphal East police put the situation under control, an eyewitness said. The eye witness however did not have any idea of why some people tried to create trouble at the clinic. Whether a police had taken up a case or not could not be known at the moment. Reliable source said that these unauthorised clinics used to hire doctor at time of emergency or complicacy. Some said abortion was even carried out at such clinic however; regarding this still have to get concrete evidences.